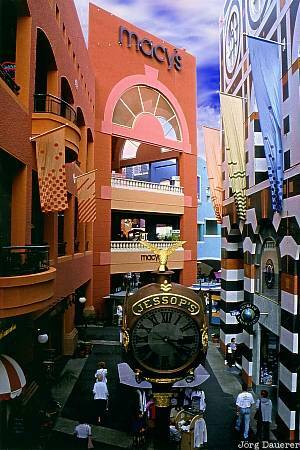 The modern architecture of Horton Plaza mall in San Diego. San Diego is at the pacific coast in the south of California, United States. This photo was taken on a cloudy day in September of 1999.